It’s that time again- spring time. The time when flowers bloom, everything is green and fresh, there is pollen all over everything…and some of us engage in a little yearly tradition known as spring cleaning. I don’t know about you, but my house needs some extra TLC, and I can’t always get to those extra things during the school year. Like many others, I choose to spend a few days in the spring giving my house some extra cleaning and organizing. 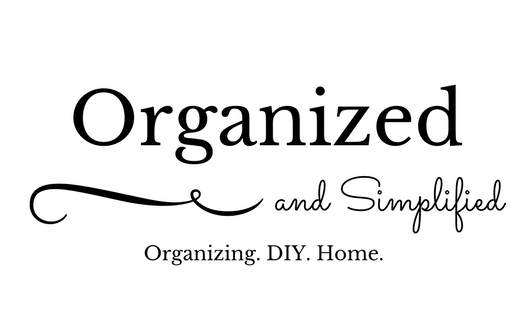 Today, I’d like to share some tips for getting your house cleaned and organized but in a simple and timely manner. One of the first things I tackle are our overflowing closets. and donate what I do not need, throw away what is damaged, and organize and put away anything else. You can read all about how to keep your closet cleaned here. You can read about how to organize your child’s closet so that it grows with them here. 2. Clean your kitchen: clean your cabinets, fridge, freezer, and pantry. Give your fridge a good cleaning before cleaning out your pantry and cabinets. Remove any expired foods or unneeded kitchen items from your pantry. Use cabinet organizers to keep your needed items within easy reach. Organize your linen closet by donating items you don’t use anymore, and throwing away expired items. Use drawer and cabinet organizers to keep everything in easy reach. Get rid of any broken toys and donate or give away anything your kids have outgrown. I also like to do some extra cleaning, such as moving furniture and cleaning under or behind it, or cleaning our blinds. We also pressure wash the sidewalks, porch furniture, and outside of the house. We also take down the curtains and wash them. What spring cleaning tasks do you do? We have a really big pantry/coat closet at our house that I absolutely love. It has a ton of storage space, has nice shelves and is just a really useful space. At the moment, though, it’s a really messy space. Thankfully, it’s a mess that isn’t too hard to clean up. I started by going through each shelf and throwing away anything expired, or more than half empty. I also consolidated boxes and containers if I had any items that were open. Group like items together. It makes it easier to find what you’re looking for. Use clear jars so you can tell when you need to replenish your dry goods. I also went through all of my canned goods and straightened them. Using shelf risers helps maximize your shelf space. And finally, I used baskets and bins to corral chip bags and snack boxes, clip on shelves to maximize space, and wood crates for under-shelf storage. Eventually, I plan to add casters to the bottom of my crates so I can roll them out easily when I need them. All of our breakfast items are on one shelf, making them easier to grab and go. Quick lunch items are also stashed together to make packing lunches easier. I also straightened up the items on the shelf to make them easier to find and store. All in all, my pantry is so much neater and better organized. What cabinet or pantry organizing project have you completed recently? Have you ever made lists for Christmas? Making lists is something most of us already do without even really thinking about it. But did you know you can create a binder to help you organize and simplify your Christmas season? I keep a binder with a December calendar, shopping lists, recipes, grocery lists, address lists, and holiday to-do lists. I also include any pictures or magazine features I want to utilize. I use tab dividers to keep the binder organized and easier to use. I used this cute, green polka dot binder to store my Christmas printables and goodies. I decided I’d share my handy printables with you all today. Below you will find recipe cards, holiday planning checklists, contact lists, and more. All are available to you for free, but you may not use them for commercial use. I hope your holiday season is off to a great start! Check back Friday and Saturday for some wonderful Christmas-related goodies!